IPL 2019 Today's Schedule, Start Time, Points Table, Live Streaming, Live Score of April 22 T20 Cricket Game and Highlights of Previous Matches! Kings XI Punjab (KXIP) will lock horns with Rajasthan Royals (RR) in the match no 32 of VIVO Indian Premier League (IPL), 2019. The match will take place at IS Bindra Stadium, Mohali which is KXIP home ground. Ahead of KXIP vs RR, Punjab pacer Mohammed Shami expressed his gratitude on being selected in India squad for ICC World Cup 2019. KXIP vs RR, Head-to-Head Record: Ahead of IPL 2019 Clash, Here Are Match Results of Last 5 Kings XI Punjab vs Rajasthan Royals Encounters! Mohammed Shami made his ODI debut against Pakistan in January, 2013 where he bowled record four maiden overs. He picked a five-wicket haul on his Test debut against West Indies in November 2013. The right-arm pacer Shami became the fastest Indian bowler to take 100 ODI wickets. Shami played for Delhi in last season of IPL, he was bought by Kings XI Punjab in the player auction for the 2019 Indian Premier League. 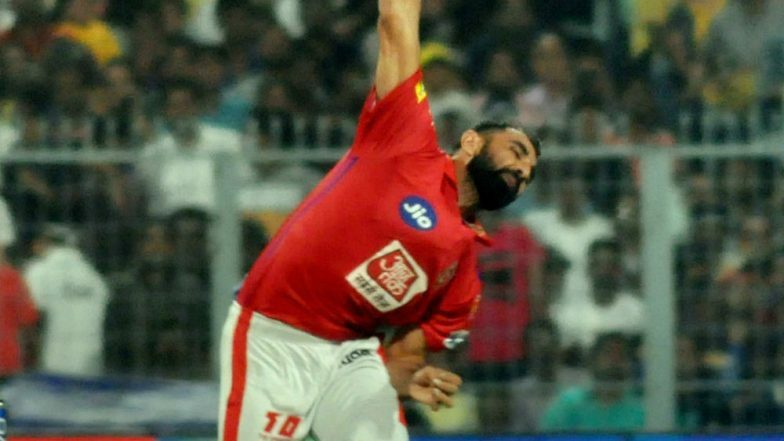 The reverse swing specialist Shami has bagged 10 wickets till now in IPL Season 12.Kings XI Punjab vs Rajasthan Royals Live Cricket Score 32th T20 Match. KXIP will hope that their fast bowler Mohammed Shami strikes wickets in their upcoming game against RR, so that they can move up in the point table by bagging 10 points. Last time when Punjab met Rajasthan in the match no 4 of IPL 2019, KXIP won that match by 14 runs after posting a total of 184.